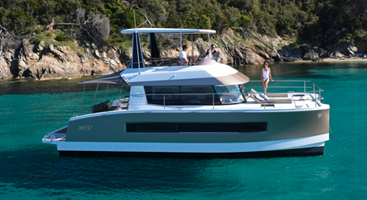 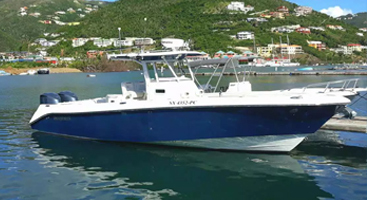 ‘Blue Horizon’ is a custom built, PC60 power catamaran. 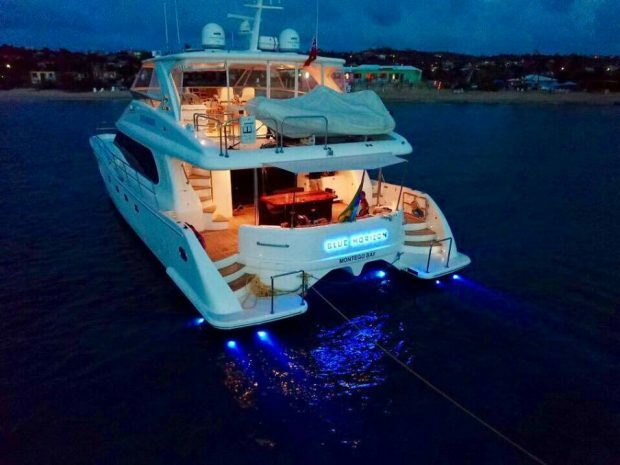 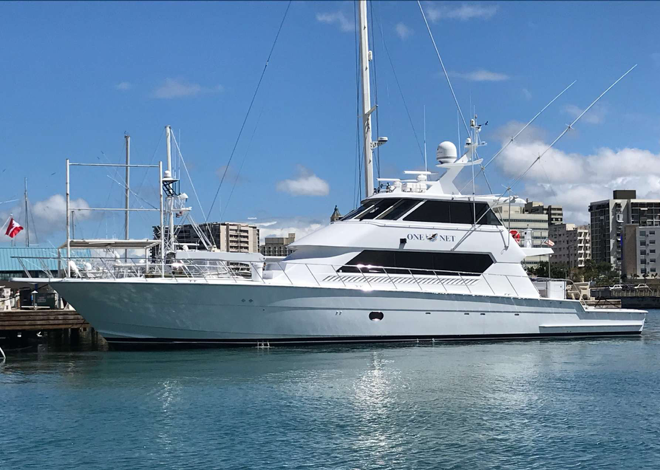 She is a luxurious blue water cruising yacht, specifically designed, engineered and built to meet the demands of the most discerning yacht owner. 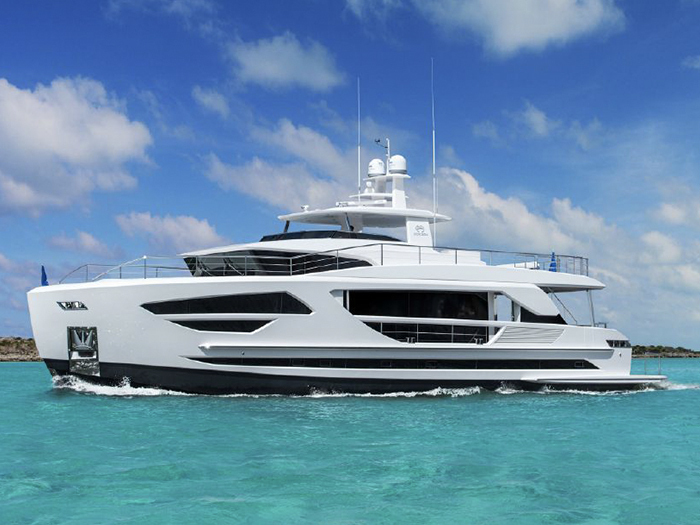 Her sleek, modern clean lines will turn heads at every dock she visits. 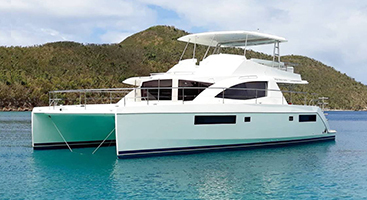 Blue Horizon’s highly refined and tank tested hull design make for a remarkably smooth, soft and stable ride, regardless of the sea conditions. 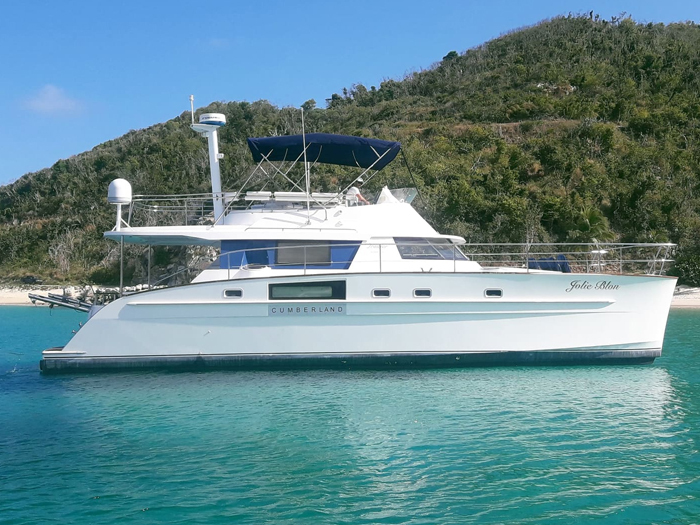 Cruise in comfort at 17 knots, with a top end of 22 knots (depending on her total load), or if you are in no rush, a slow cruise at 8 knots rewards you with incredible fuel efficiency! 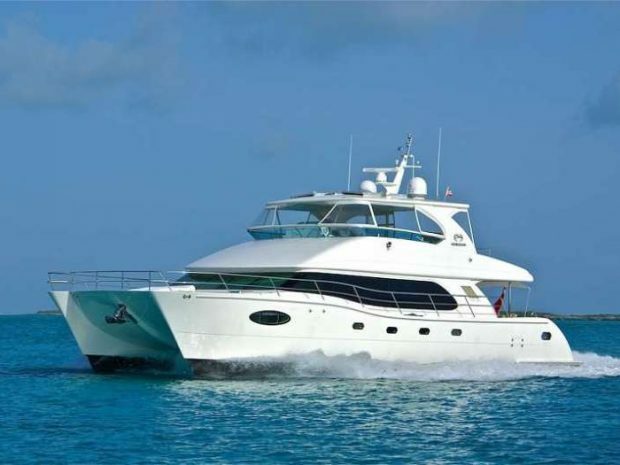 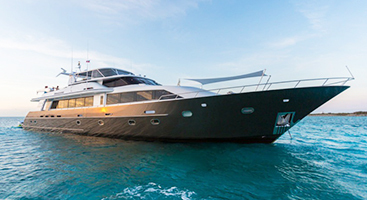 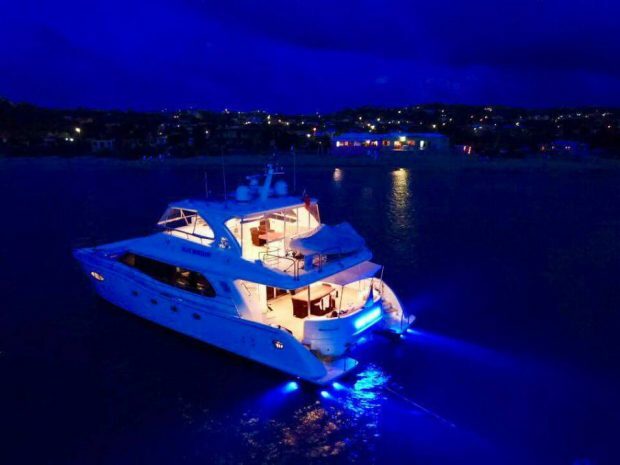 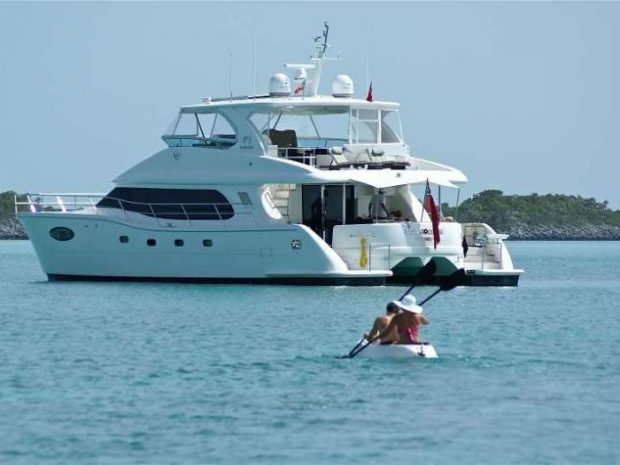 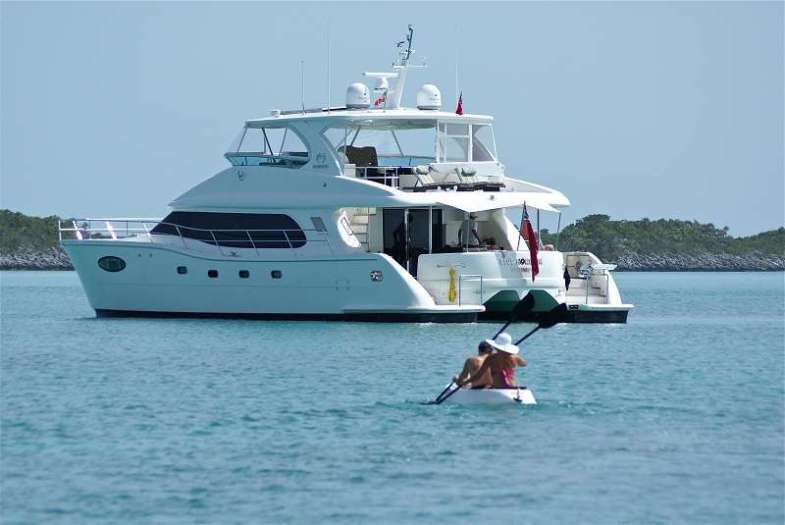 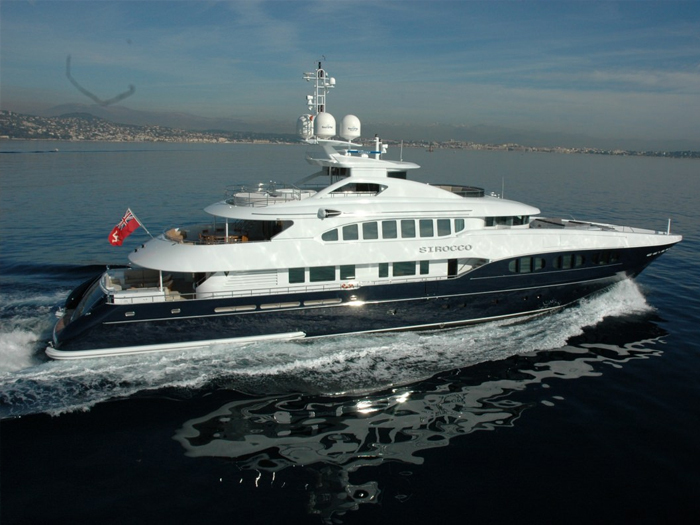 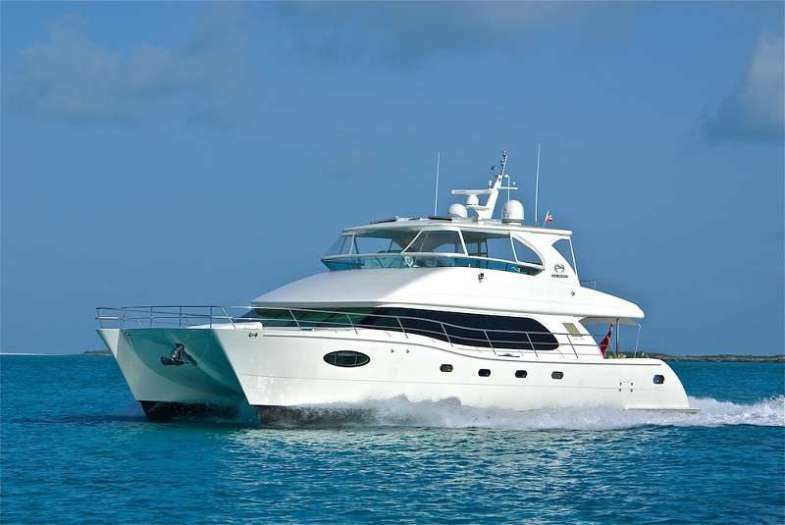 The PC60 is well suited to owner operate while offering the stately luxury and amenities of a much larger motor yacht. 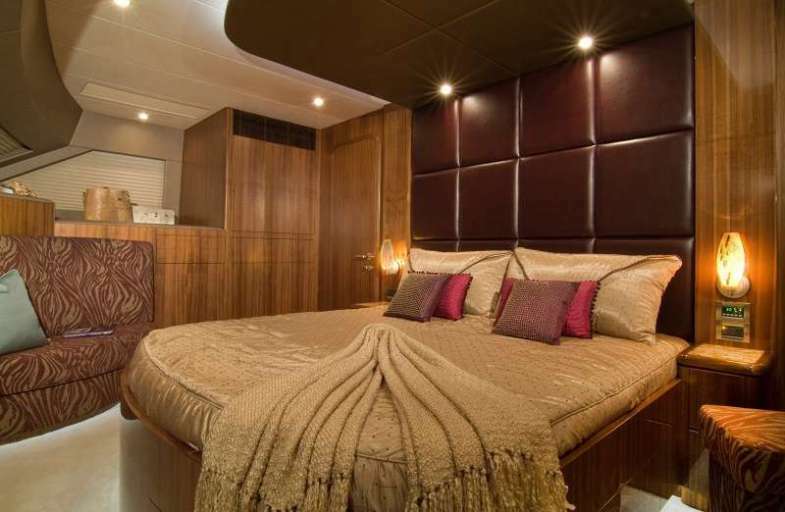 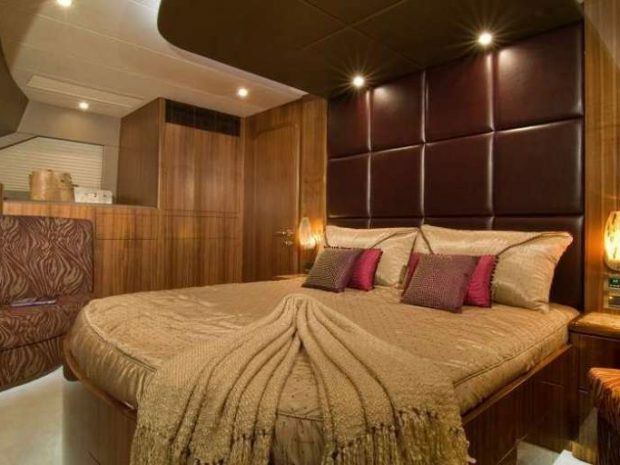 The lavish on deck master stateroom, with full walk around King bed, gourmet galley and spacious salon ensures the ultimate in comfort. 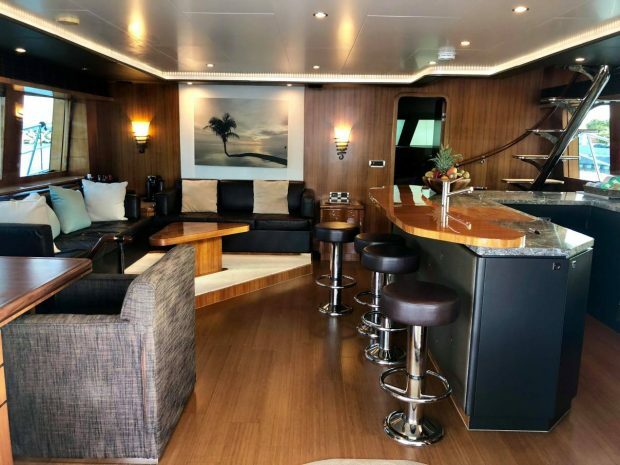 The salon, bar and gourmet galley integrate seamlessly and form a large and comfortable area for entertaining. 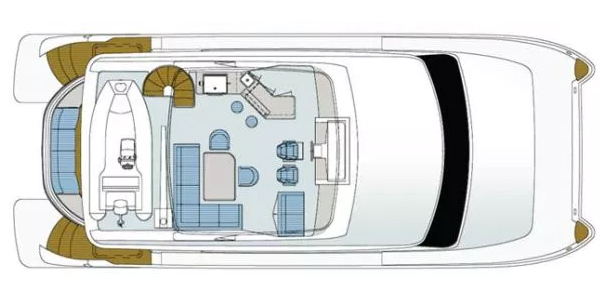 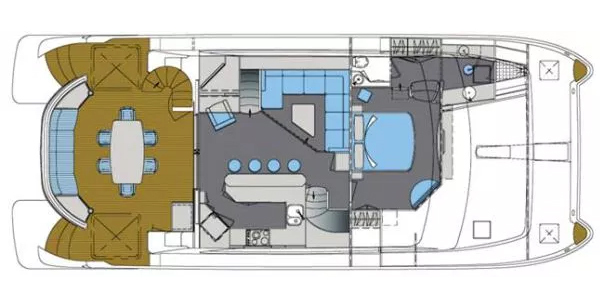 The galley has the proportions and amenities equal to that of a luxury apartment while the large salon offers very comfortable seating and unobstructed views through the large side windows and aft salon sliding door. 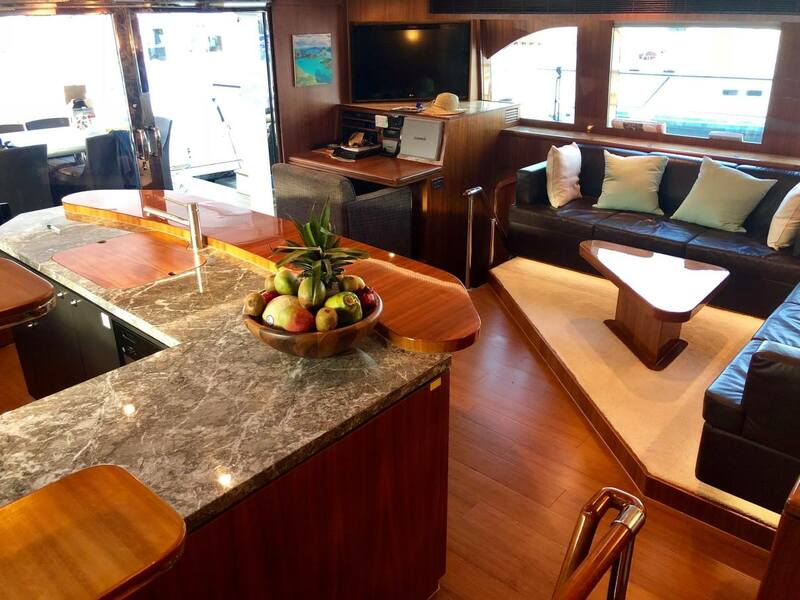 The internal stairs to access the flybridge from the salon is a wonderful feature, and provides easy access to the helm while cruising. 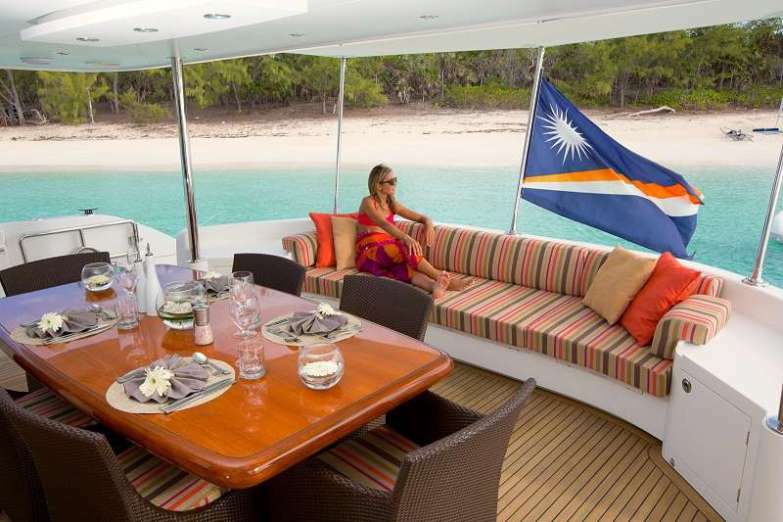 The cockpit, with a beautiful teak deck, is spectacularly large and offers combined seating plus dinning for as many as 14 in comfort. 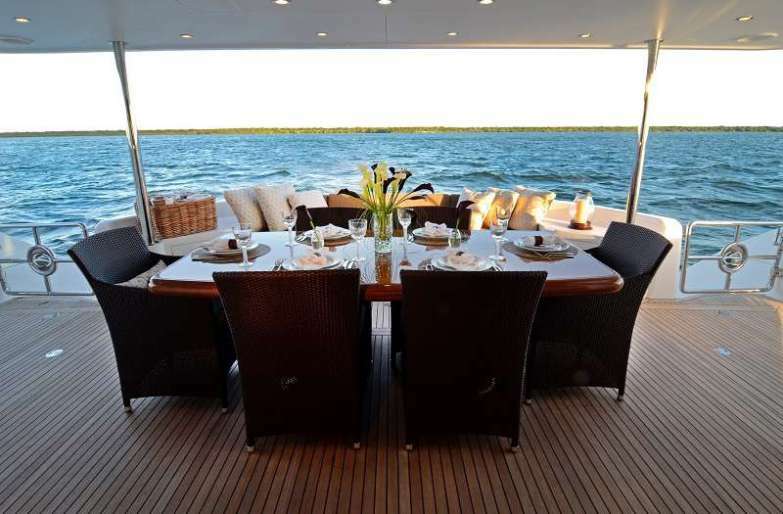 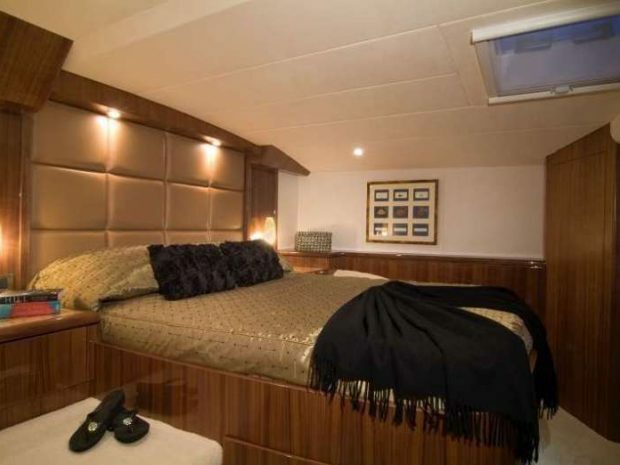 The aft deck has a large sofa style seating with side counters for drinks and snacks. 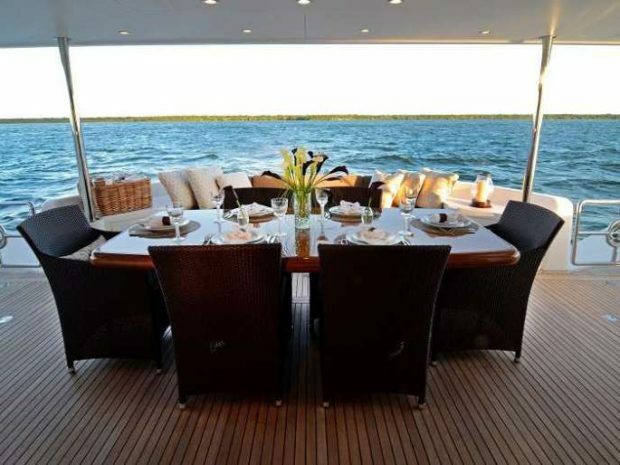 The large solid wood cockpit table is beautifully hand crafted and seats 8 in comfort. 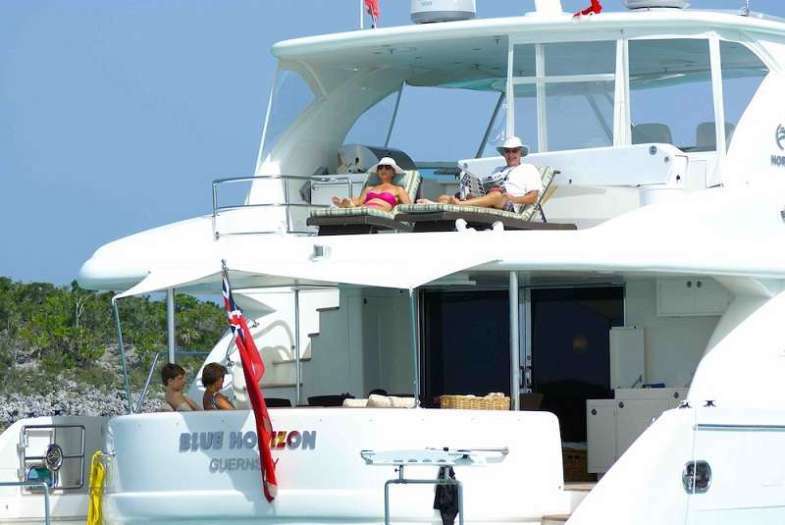 Access to the flybridge is via wide comfortable stairs. 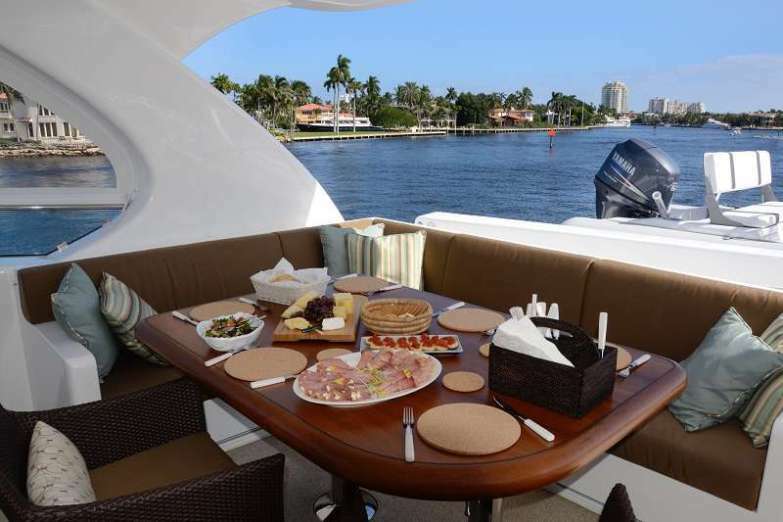 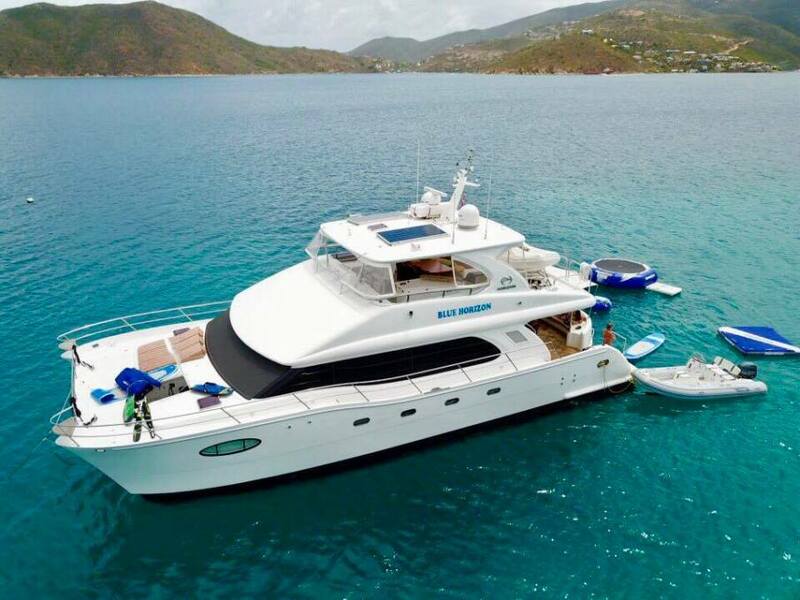 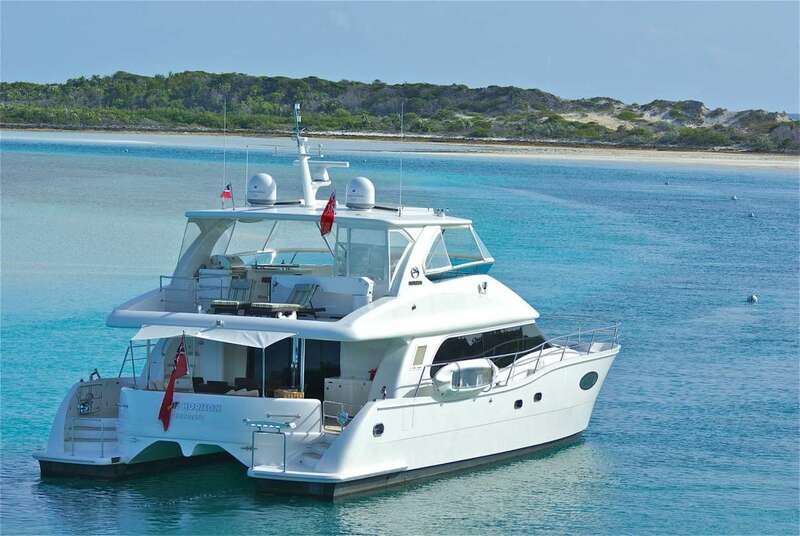 The flybridge is considerable area to entertain and relax. 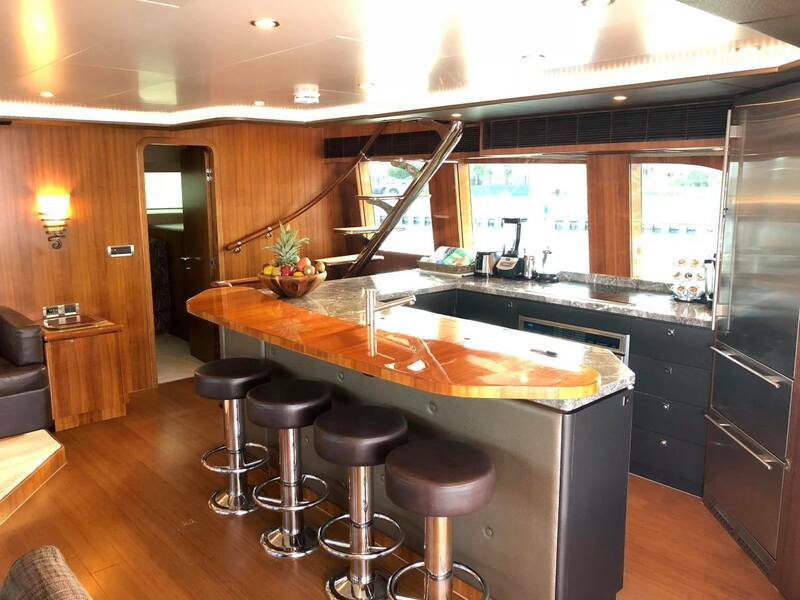 The seating offers dinning for 6 in comfort and the bar is particularly well designed with bar stools, build in BBQ, basin, fridge / ice maker plus plenty of storage. 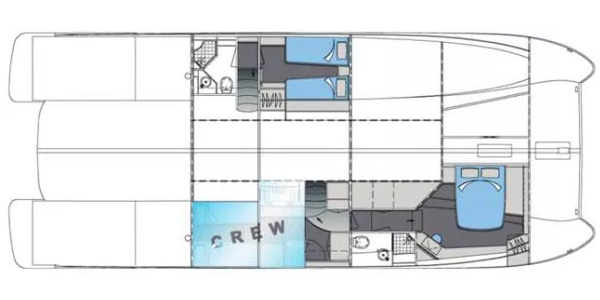 The aft section of the flybridge houses the dinghy crane and sufficient space for a 13ft tender. 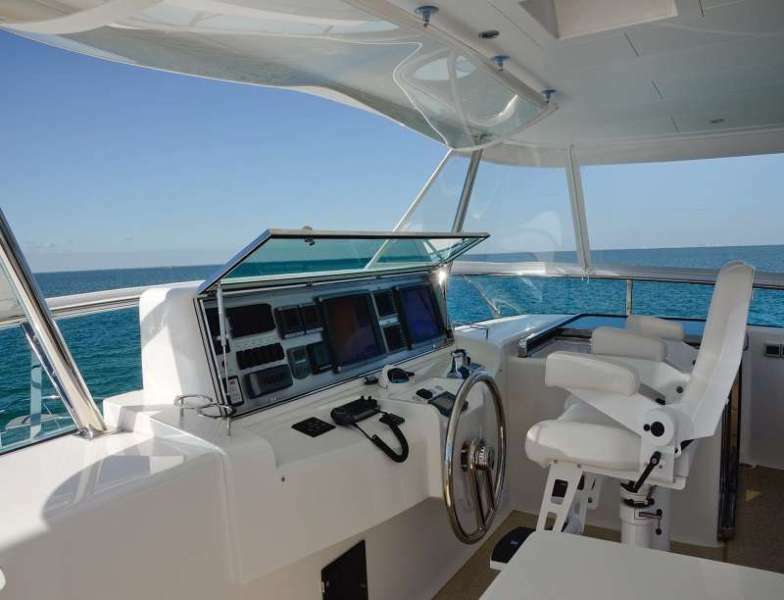 The helm consul has a fold-down glass screen to protect the instruments from the elements. 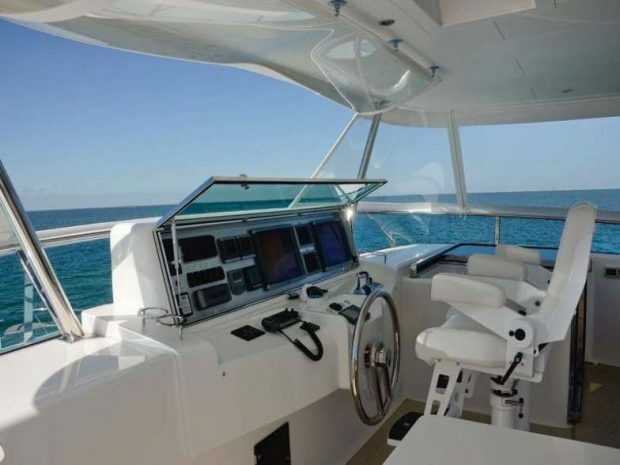 The twin helm seats complete this wonderful area. 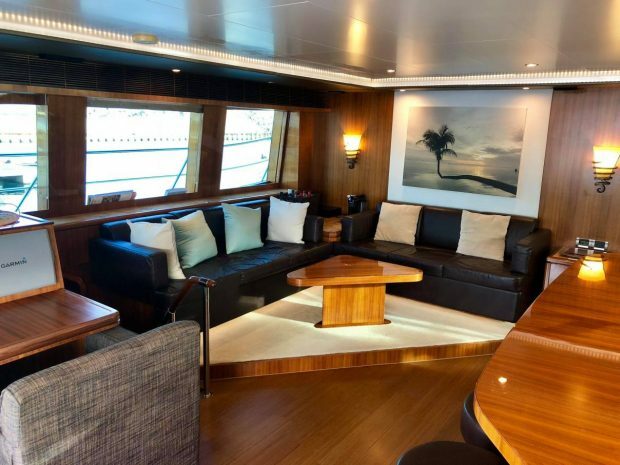 Alex is a dynamic and supportive ship captain of Irish origins and has been sailing competitively for 15 years with St. George Yacht club and has several wins for cruiser racing events in the UK and Ireland. 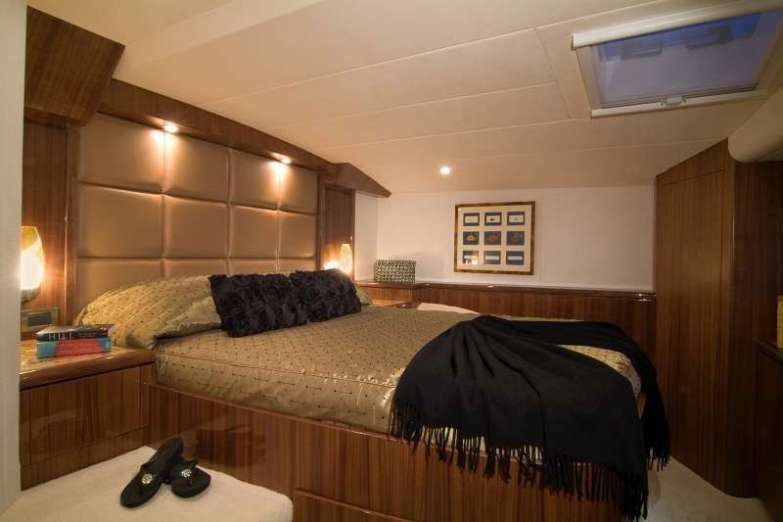 His crewed charter experience includes over 30,000 charter miles with guests and as well 30,000 delivery miles on racing yachts and private sailing yachts. 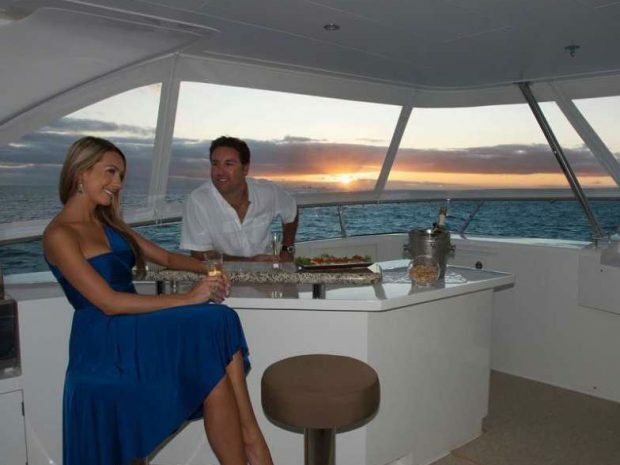 He has worked at numerous private events as a cocktail waiter which makes him competent in guest handling. 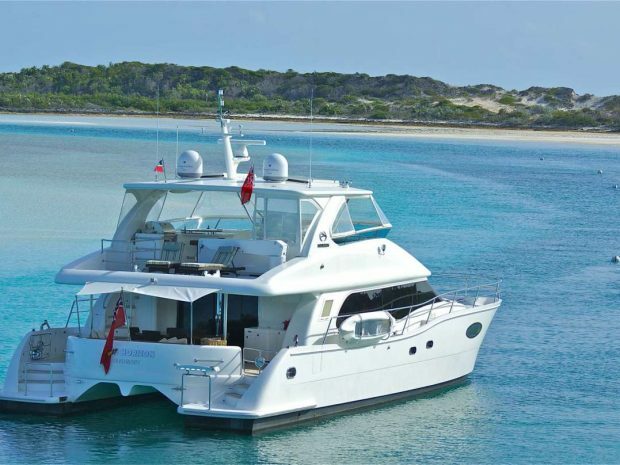 Tailored to fit your special needs and wishes, his services will make you discover the freedom only a boat can offer. 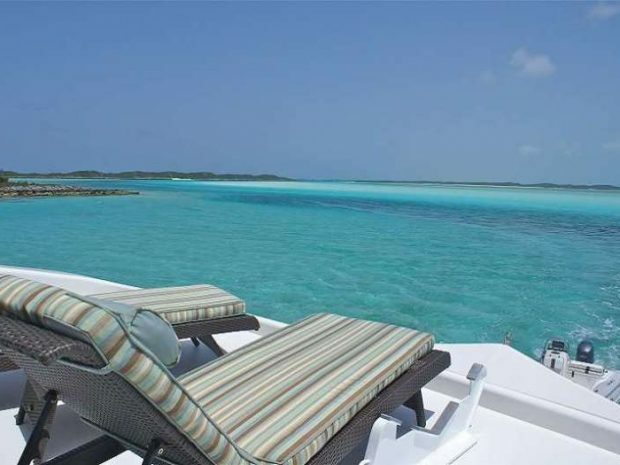 Whether you are looking to enjoy a laid-back day on the beach, jump into an active holiday, indulge in the local fine wine and dining, discover the culture, appreciate the nature or just do nothing at all – he will help make it happen! 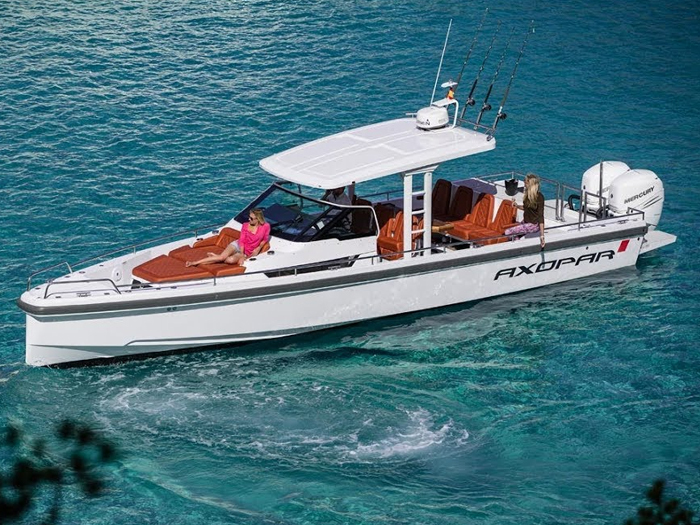 Alex is fluent in German. Euslyn is a friendly and dedicated chef/stewardess, and as her previous guests commented, ‘she is just a great human being!’ She is eager to help make your charter holiday the trip of a lifetime! 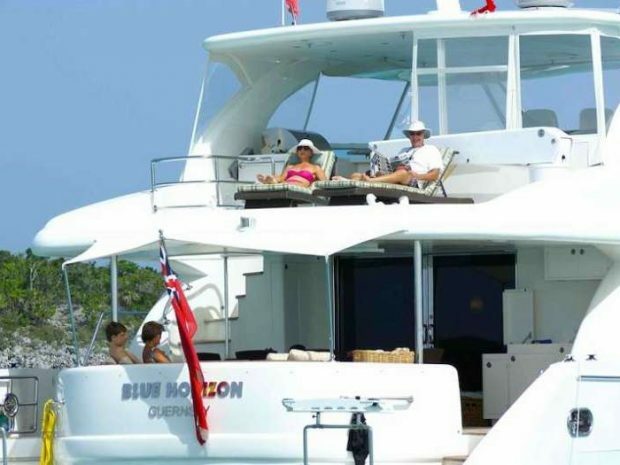 She is originally from Grenada, but has a vast knowledge of the BVI, having called the BVI home for the last 25+ years. 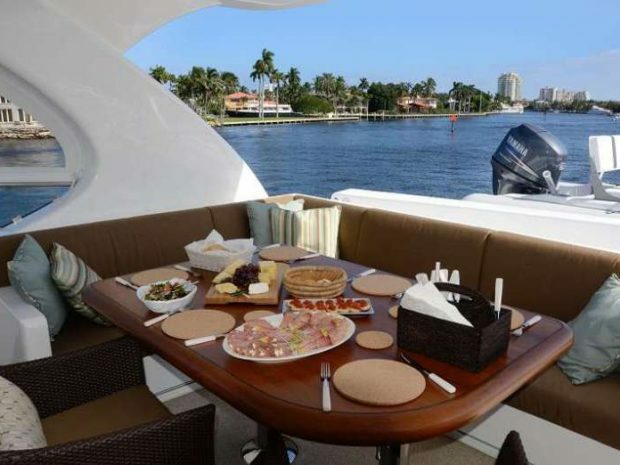 Euslyn has been working in the yachting industry as a chef for the past 10+ years, primarily on private yachts up to 120′. 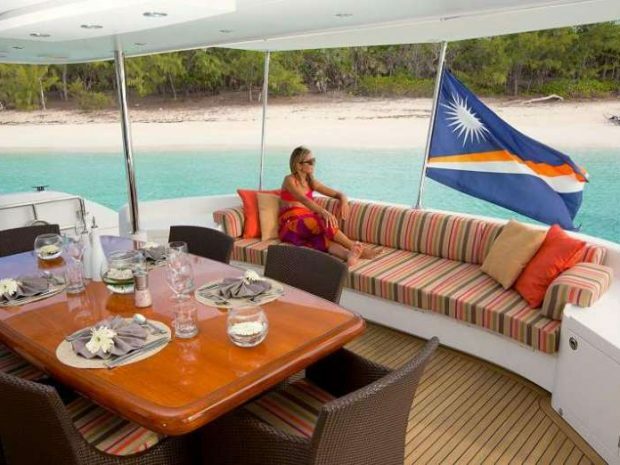 In recent years, she has moved from private yachts into charter as she loves the ability to meet many different people from various cultures and parts of the world. 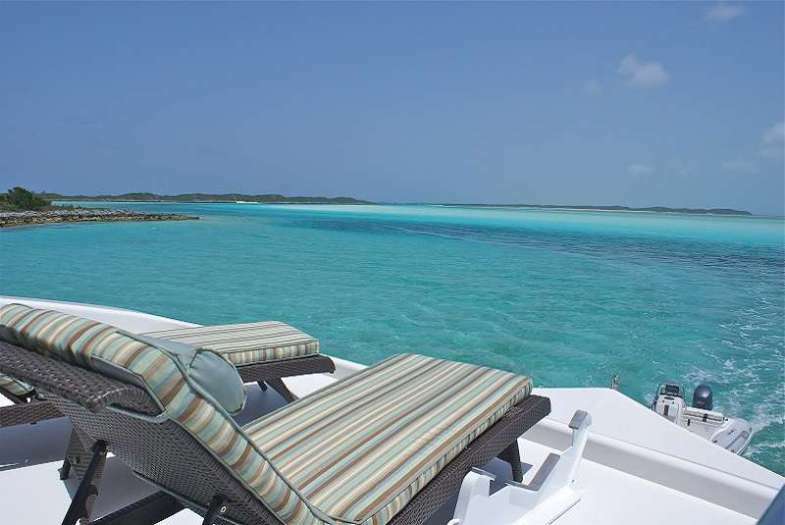 Euslyn loves creating unique menus for her clients using fresh ingredients and featuring recipes with a Caribbean flair. Dinner is her favorite meal of the day and she can’t wait to share her her fantastic creations with you aboard Blue Horizon.